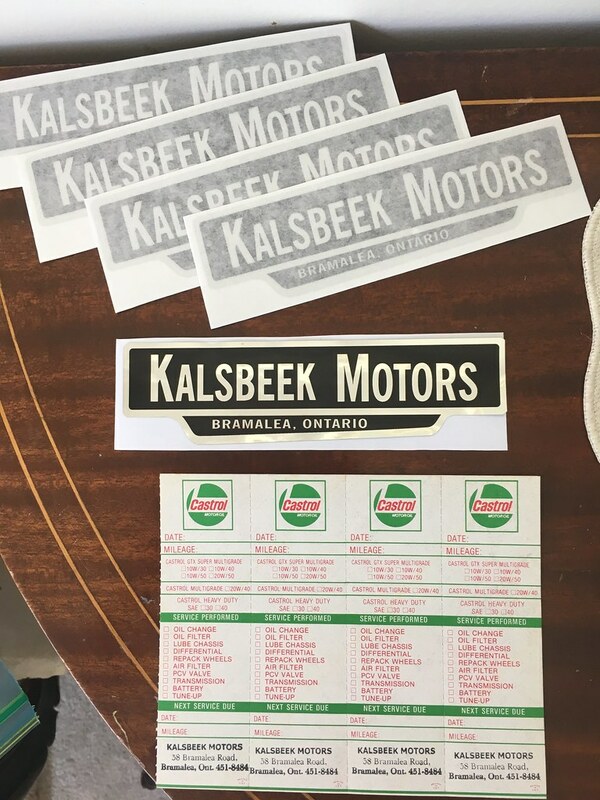 This week, Harry Kalsbeek sent me a most appreciated gift - exact replicas of the Kalsbeek Motors dealer sticker that were on all cars they sold from their Ontario dealership in the sixties. This will again be worn with pride on the back of my 404 Coupé - delivered to its first owner in BC by Harry's parents themselves, all the way from the Greater Toronto Area - once the car is delivered back to me. He also sent some Castrol oil change door jamb stickers printed with the dealership name. stevenvillatoro, Smart Bob and jetfuel like this. BAT is currently auctioning a 404 convertible that was originally sourced from Canada. Yeah I saw that car on BAT and I had to add a comment about the true body condition. I knew Robert Drouin, the former owner, and although it's nice to look at from 20 paces, it's had some truly awful reconstruction work done to it. ... although it's nice to look at from 20 paces, it's had some truly awful reconstruction work done to it. 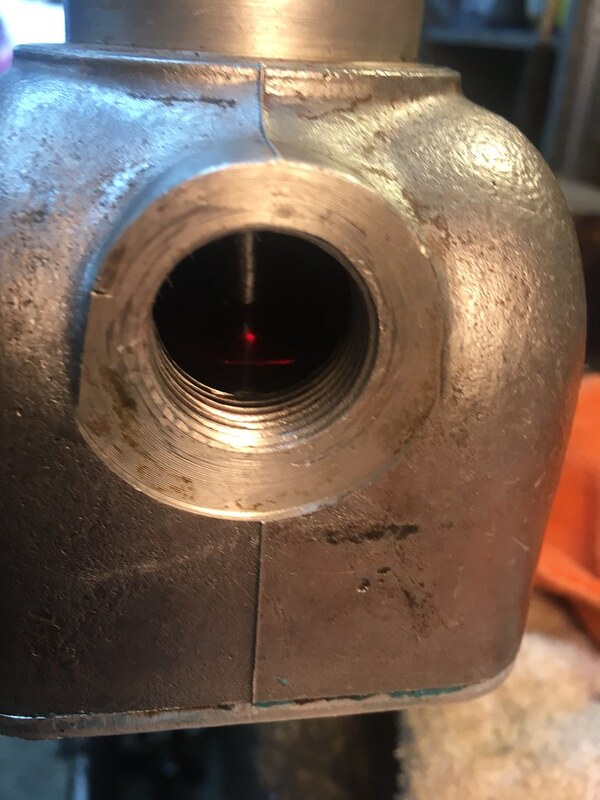 This afternoon I decided to have a look inside the lever end of the Italian-made Nardi floor shifter that my 404C had from new. 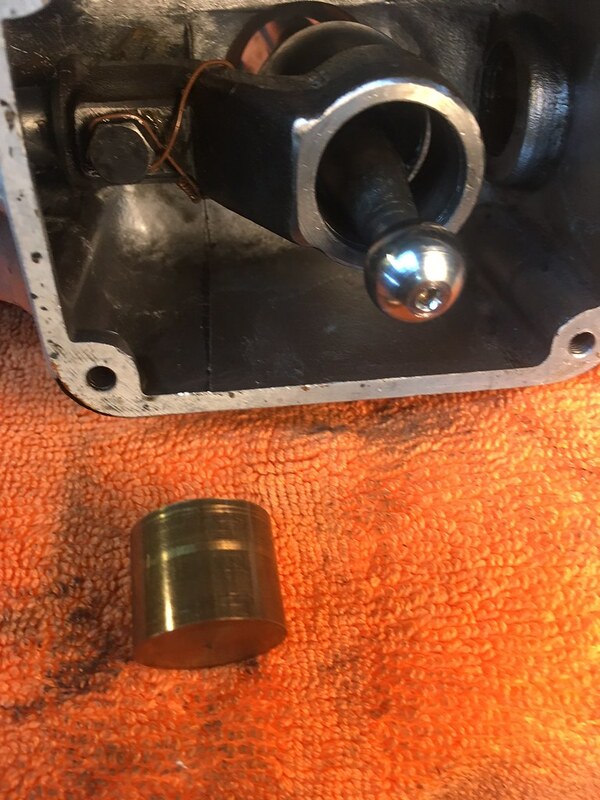 The last two I opened up had plastic bushings that had disintegrated over time and I thought that this one had a plastic bushing too, but intact, because the lever action was perfect. 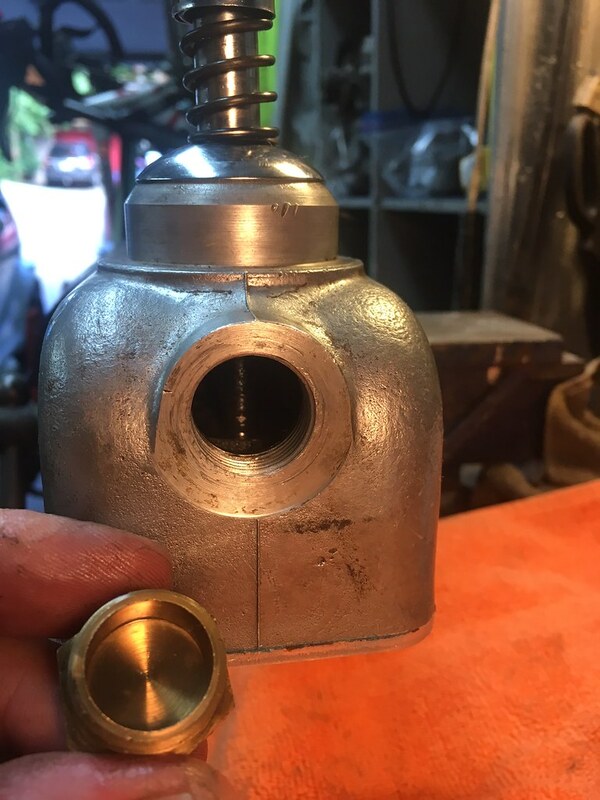 The bushing in this version of the Nardi is definitely not plastic, it's bronze or brass! It's in great condition! 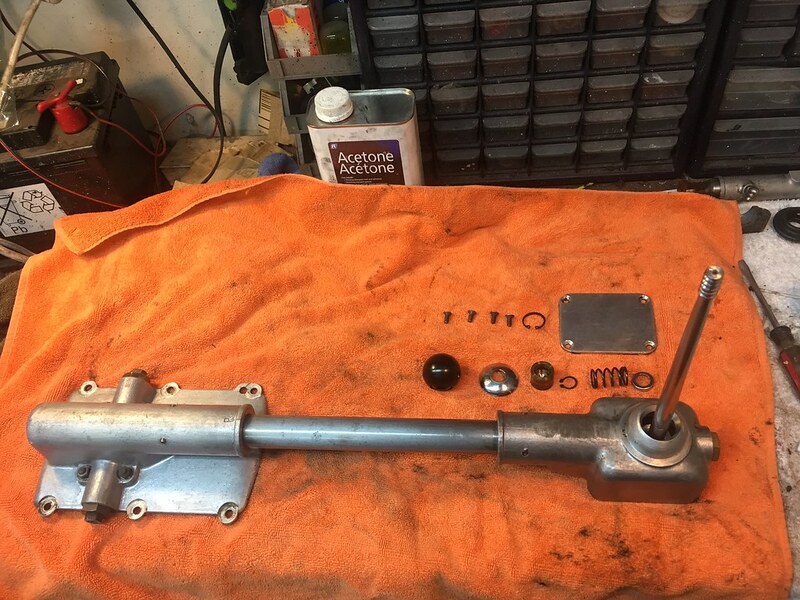 View of the bronze bushing, which when the lever is actuated, moves up and down inside the sleeve attached to the shifter rod that transmits the action to the gearbox shifting forks. 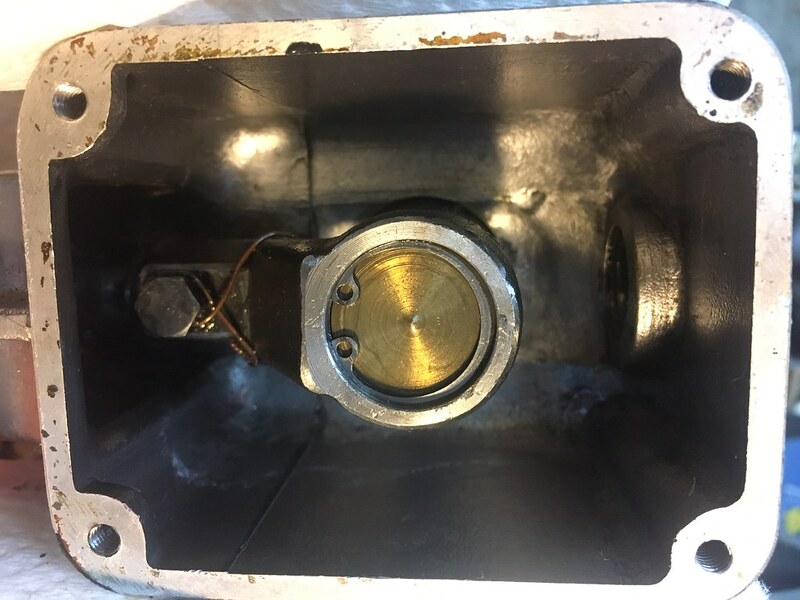 The sump has been drained and cleaned out, and the bronze bushing is again circlipsed into place. 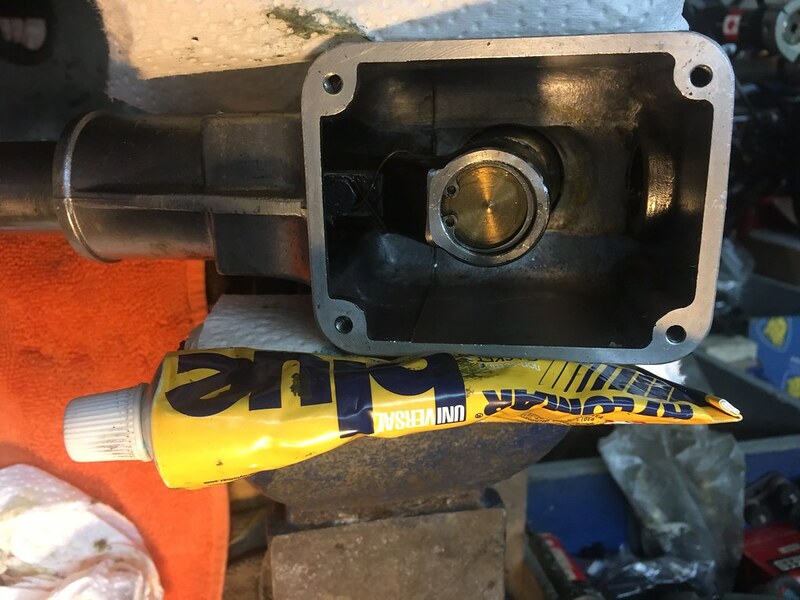 The sealing faces and threading of the little sump were carefully cleaned and then sealed with Hylomar Blue, to prevent any oil leaks. 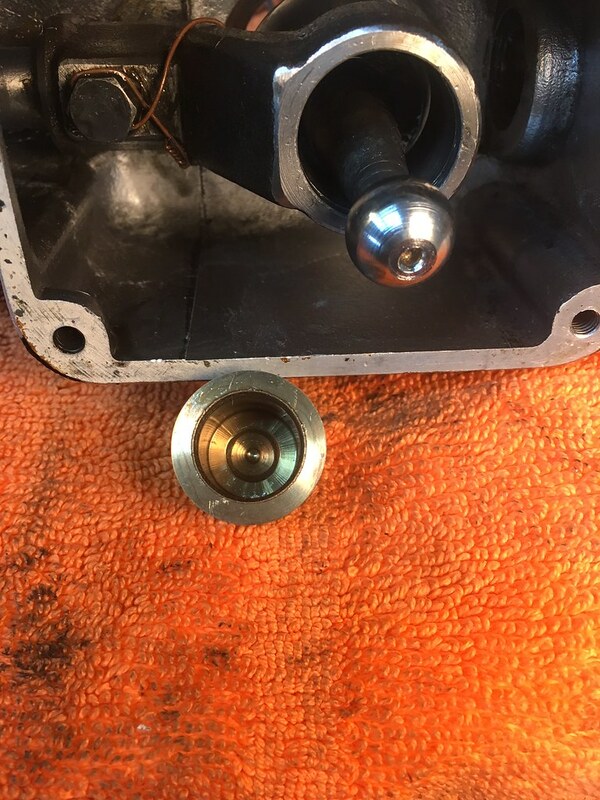 Sump screw on the NArdi, accessible from inside the car, 24 mm. ...and refilled with Yacco vegetable based differential oil! Michelin XAS 165HR15, the tires that came on my 404C when she was new. 5 tubes too. 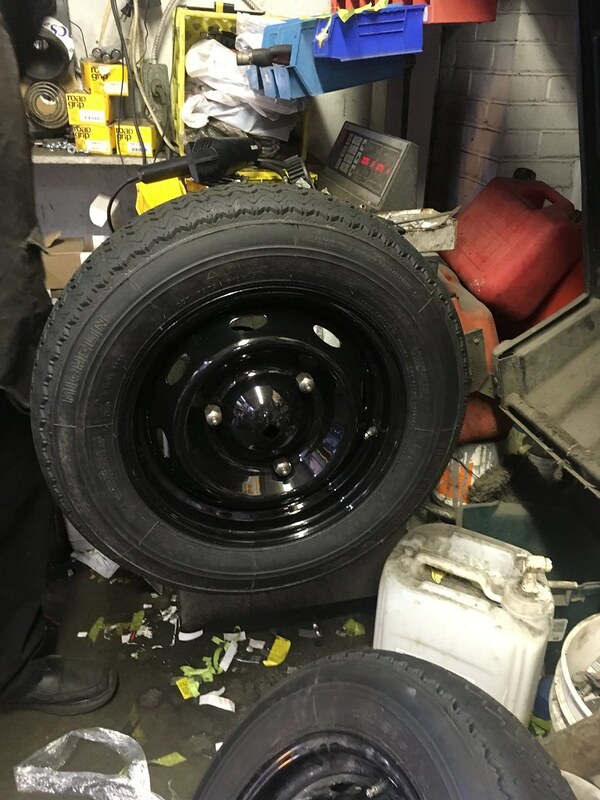 All from Longstone Tyres in GB, free shipping, no VAT, no Canadian tax either and they arrived in 4 days. 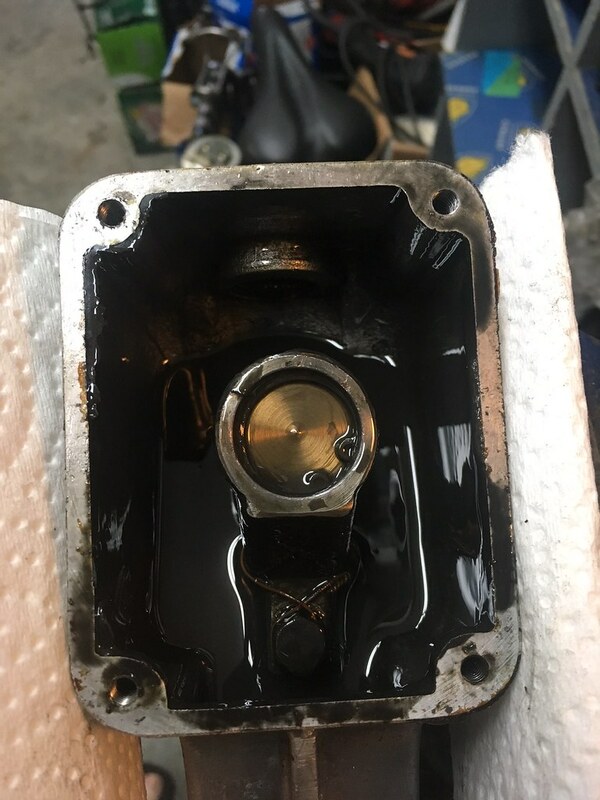 Glad I came back to the forum, if only to watch the progress of your Peugeot. It's going to be beautiful, and thanks for sharing it with us. Smart Bob and OliverB like this. You're probably thinking: "Mike, when - for criminy sake - will your 404 be painted?". 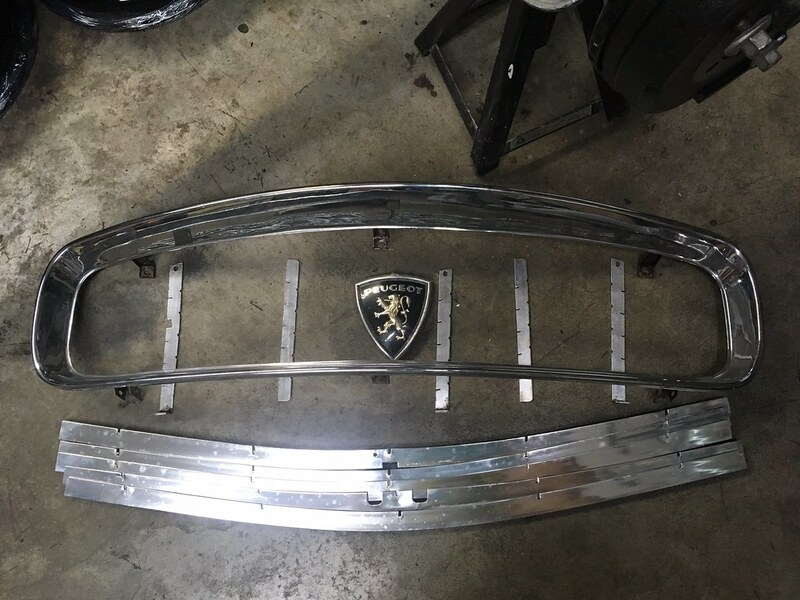 Well, I was asked to bring the grille surround back to the shop on Bastille Day to Coachwerks, as the bodyshell is virtually ready to paint. A final fitting of the grill surround to the shell will confirm that it's ready. 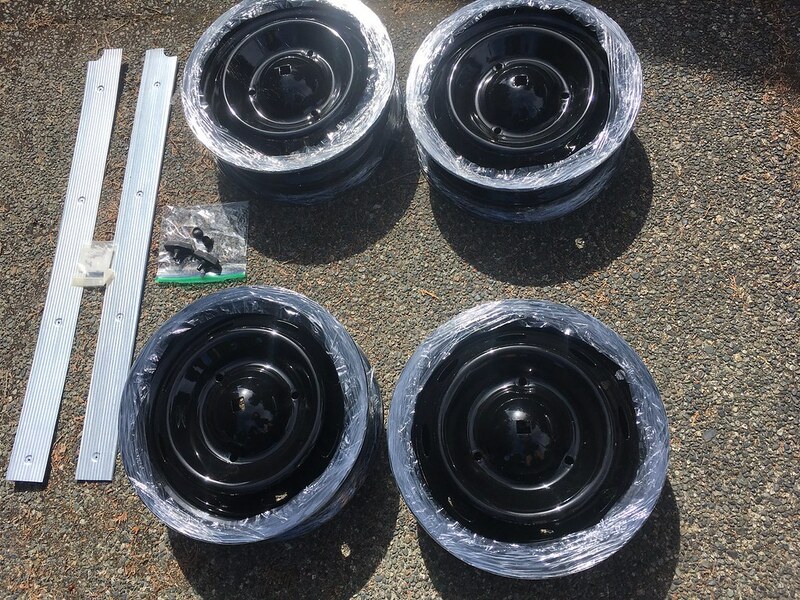 Meanwhile, two of the three taillight bezels I have as well as the door handles are still at the chrome shop, as well as both bumpers, the latter for dent repair and polishing only. You've read this before, but it's possible that the car will be painted in a week's time, and almost certainly by the end of July. 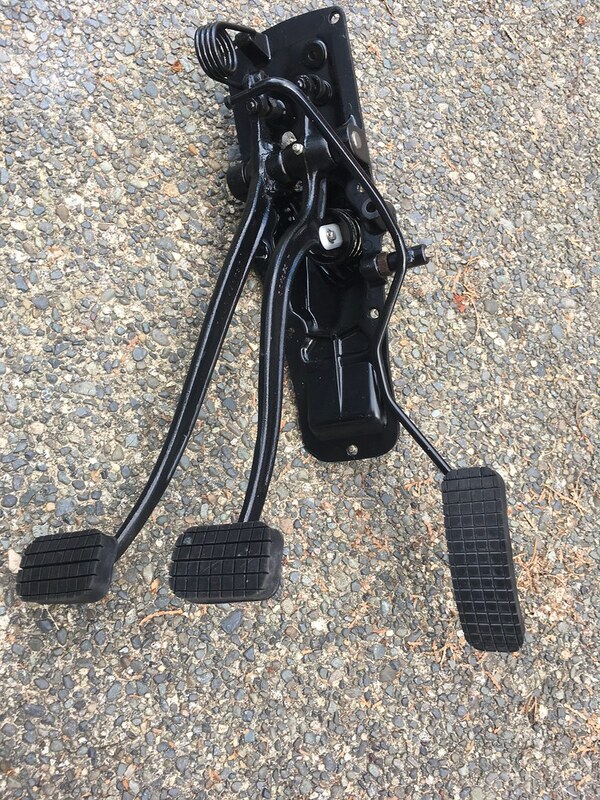 So, Peter Gallagher of Automotion, 1390 Pemberton Avenue North Vancouver, did the mounting and balancing when I was at his shop on Tuesday (11 July) morning. When I arrived he was nearly done, but I managed to catch the last bit of work. 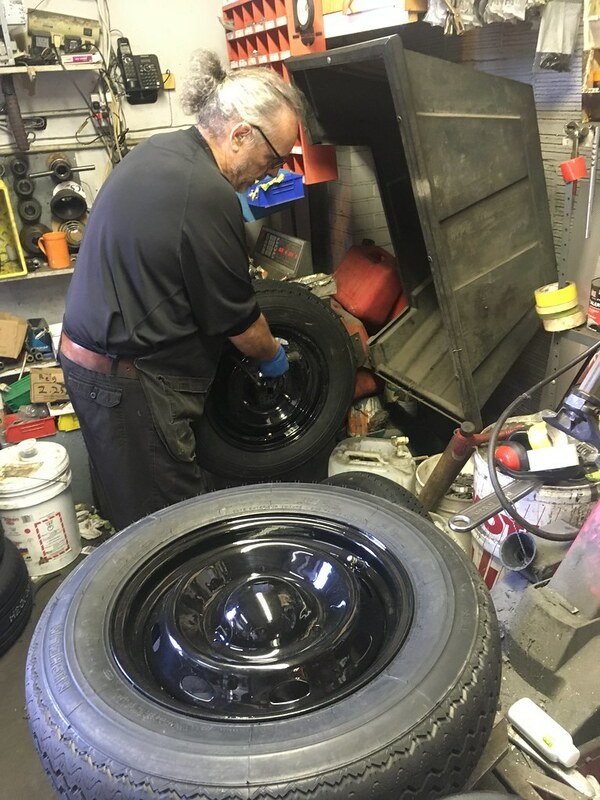 The wheels were "too pretty", Peter said, to hammer rim weights onto, so he used stick-on weights that will be invisible behind the large hubcaps. 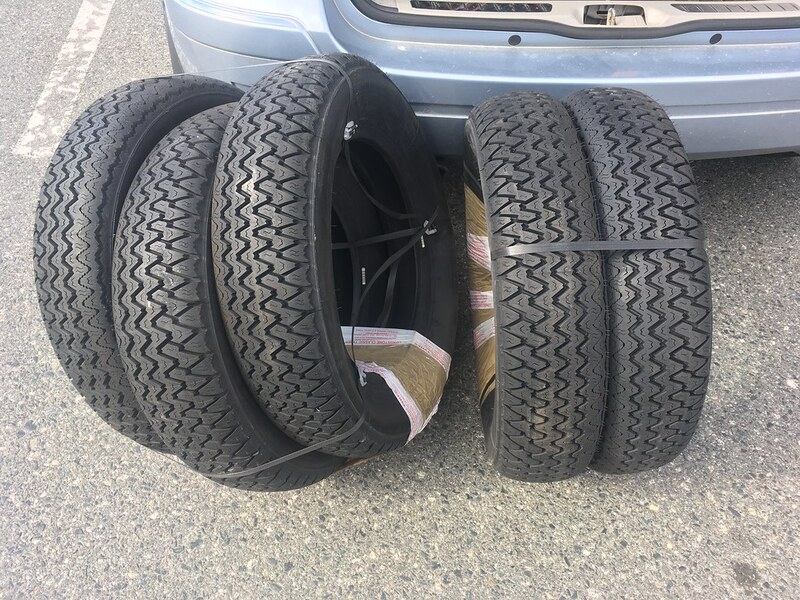 I think I will keep the two 30 year old Michelin MXL and two 28 year old XM+S 100 tires on rims, so when the car sits in the garage it can be on those tires, saving the XAS from flat-spotting during storage. jetfuel, Huronlad and OliverB like this.